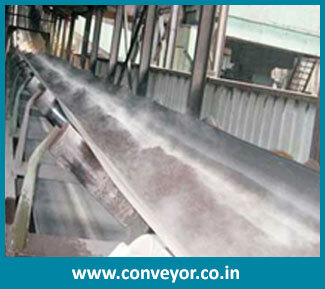 We have developed advanced fabrication system for the production of different kinds of conveyor belt. 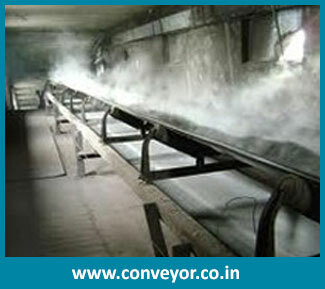 There are many industrial applications in which fire Conveyor Belt is used. For these kinds of applications, very reliable quality belts must be used for the safe and sound handling of the materials. 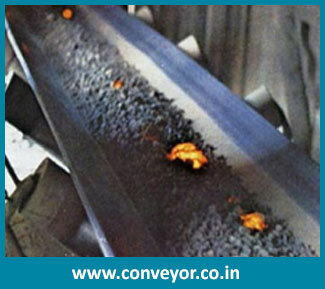 We make use of the best grade material for the fabrication of the inner carcass and outer cover of fire conveyor belt. It is made oil resistant and wear and tear resistant to offer better functionality. It is used to convey fire sensitive objects in different industrial procedure. It is used in production method and in processing of fertilizers, in varied gas applications, in coal dust and in many other applications. It is used for mining, sugar, chemicals, fertilizers, paper and pulp and many more.